The Chevrolet Silverado is one of GM’s best-selling vehicles—and it’s easy to see why! Compared to used Toyota Tacomas, used Chevy Silverados are larger and generally offered with more powerful engines, such as a 420-hp V8 engine. The Silverado 1500 has a long history of being the go-to standard-duty pickup, while the Silverado 2500 is known as a three-quarter ton pickup with incredible towing strength. Silverados can be had with rear- or four-wheel drive, and are available in multiple body configurations. Whether you need to haul heavy equipment or tow a small camper, the Chevy Silverado is up to the challenge. Browse our selection of used Chevrolet Silverado trucks below, then contact us to schedule a test drive near Mesa and Surprise! 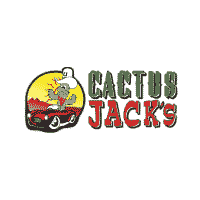 Why Buy a Used Chevrolet Silverado from Cactus Jack's Auto? We offer one of the most impressive lineups of used trucks near Surprise and Glendale! Our weekly specials make it easier for drivers to find the cars they want at excellent rates. Additionally, we offer a Buy Here, Pay Here program that helps drivers with bad credit and no credit obtain car loans with reasonable rates and terms. If you have questions about the benefits of buying a used Chevy, give us a call or visit us in Phoenix!